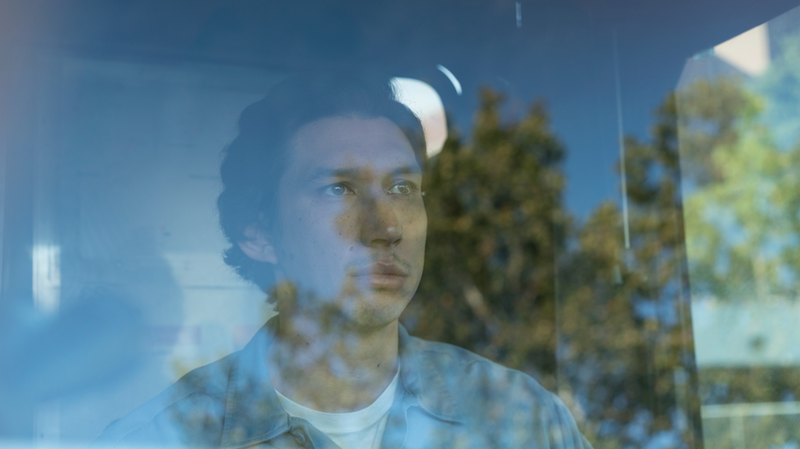 by Alex Bird Early on in Paterson, Adam Driver’s eponymous bus driver writes a poem in which he meticulously describes his favorite brand of matches. He titles it “Love Poem.” Like Paterson’s poems (the title refers to both the New Jersey city and the main character), this movie is all about finding beauty in the ordinary. It’s structured like a poem, too. The point of the film is not so much to tell a story, but to establish a feeling. Paterson puts most of its effort into studying its settings and characters to see if there is some greater meaning we can glean from them. When a real “event” happens, it always serves to add significance to what we have seen before. Because of the unique world that director Jim Jarmusch creates, Paterson is an exceedingly pleasant film in which everyone is nice to each other and conflict is almost nonexistent. The focus is on the routines of the main character, who we see over the course of a week. Paterson wakes up, goes to work, writes his poems, and overhears the conversations of his passengers. In the evening, he eats dinner with his wife, Laura (Golshifteh Farahani), who paints every surface of the house with black and white patterns and dreams of becoming a country singer. Finally, he walks his bulldog Marvin down to the local bar and catches up with the bartender, Doc (Barry Shabaka Henley). Paterson is about moments. Some are funny, some are sad, some are even exciting. But overall, they’re invariably honest and nice. That doesn’t mean there aren’t any scenes that stand out. A subplot about a man who can’t get over his ex-girlfriend provides some shocking moments, as does the ironic ending. Additionally, Wes Anderson fans will be excited by a scene in which Moonrise Kingdom stars Kara Hayward and Jared Gilman appear together and share a rather odd conversation about Gaetano Bresci, the Italian Anarchist who lived in Paterson before assassinating the king of Italy. Perhaps the most memorable moment is when Paterson meets another poet, a young girl, in a scene that plays into the film’s unexplained fascination with twins. As someone who grew up not far from Paterson, I can attest to the accuracy of this movie. It’s a fairly small, slightly dull, diverse working-class city. You’ll probably never have any reason to go there. But as the film’s characters love to point out, it has a surprisingly rich history. In frequent bouts of civic pride, we hear of how the city was once home to everyone from comedian Lou Costello (of Abbott and Costello) to wrongfully convicted boxer Hurricane Carter. Also, most importantly to the film’s protagonist, the poet William Carlos Williams was born in Paterson and named one of his books after the city. Jarmusch’s work will always be tied to the now-extinct offbeat downtown New York subculture of the 1980s, but most of his best films have always been set elsewhere. He’s always had a talent for depicting the idiosyncrasies of a specific time or place, whether it be New Orleans (Down by Law), Memphis (Mystery Train), or Detroit (Only Lovers Left Alive). Paterson is no exception, and it has a typically uneventful Jarmusch story that is utterly, almost embarrassingly realistic in the way it unfolds, and yet full of self-conscious style choices. Paterson is certainly a good movie, but it feels slight despite its length. It seems unlikely to stand out amongst Jarmusch’s filmography, and will probably lose some fans because it makes no attempt to seem cool unlike his hip and ironic earlier works. The days-of-the-week structure gives it a built-in sense of pacing that prevents it from getting boring, although there are parts that drag. It’s not for everyone, nor is it particularly inaccessible. It’s a film, I think, for people who like poetry as much as Jarmusch clearly does, and don’t mind a story that does little more than meditate on its subject, getting closer and closer until we understand. Tags: Alex Bird. Bookmark the permalink. Great review. I know what to expect but you didn’t give anything away.